How can we increase profits and improve livelihoods for 500 million smallholder farming households around the world—the most common occupation for people living under US$2 a day? The newest grantees of the Agricultural Technology Adoption Initiative (ATAI) will evaluate strategies to increase the adoption of potentially profitable technologies for smallholders. In its ninth competitive request for proposals, ATAI awarded a total of $1 million to two new pilot projects, two new randomized evaluations, and supplemental funding to a randomized evaluation already in progress under ATAI. Interventions tested in these contexts focus on the market conditions that limit smallholders’ profitability. ATAI will fund two new evaluations to strengthen the limited rigorous evidence base on contract farming schemes, which could potentially help small-scale producers access technologies, financial services, and output markets. Chris Udry and Dean Karlan (Northwestern, ATAI) will build on several years of experimentation in northern Ghana, now with a focus on increasing the complementary cultivation of both soybean and the improved Pioneer yellow maize seed as suggested by results from agronomic trials and on-farm experimentation. The newly funded “Marketing, Tractor Coordination and Technology Adoption” evaluation in northern Ghana will compare the effects of three program variations of increasing intensity, to identify how combinations of smallholder contract farming with tractor market coordination, improved access to credit, and agricultural extension could encourage the adoption of these technologies to inform the recently established Ghana Commodity Exchange in building more profitable, pro-poor agricultural markets. 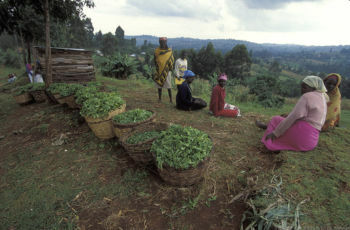 Lorenzo Casaburi (University of Zurich, ATAI) and Jack Willis (Harvard) will conduct a pilot study “Contract Farming and Technology Adoption in Kenya” in collaboration with the large contract farming vegetable and horticulture company Meru Greens as they expand their contracting scheme over the next few years. The evaluation aims to measure the impacts of enrolling in contract farming on farmers’ agricultural technology adoption, income, and food security. The ongoing “Building Market Linkages” evaluation in Uganda has been working to create and rigorously evaluate an entirely new output market structure: farmers interact directly with a national ICT-based market, while a massive market information drive sends 100,000 text messages a month to farmers and traders. 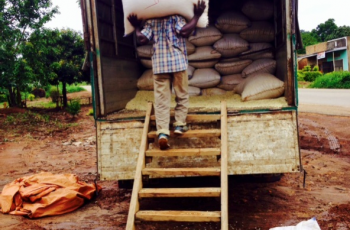 This round ATAI awarded a top-up grant to this study, allowing Craig McIntosh (UC San Diego, ATAI) and Lauren Falcao Bergquist (UChicago) to complete a final round of data collection for this evaluation that spans 12% of the surface area of Uganda. 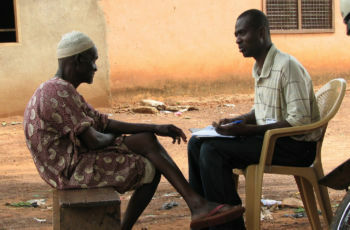 The evaluation will (1) identify the extent which an ICT platform that shares information and assists with output market coordination can effectively improve smallholders’ outside options for sale, (2) generate a unique, rich dataverse on prices, quantities, and qualities of primary crops moving through 260 markets in Uganda, and (3) ultimately understand the behavior of traders and the impacts on farmers in these markets. Farmers who would benefit from technology adoption may simply be unable to access high-quality agricultural technologies due to inadequate infrastructure, missing supply chains or unprofitably high prices. 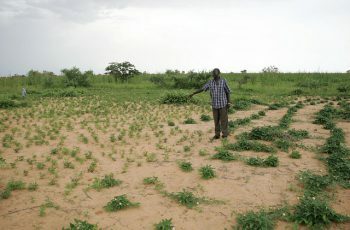 Jenny Aker (Tufts, ATAI) and Brian Dillon (University of Washington, ATAI) will build on their pilot study “Cowpeas, Credit, and Storage” in Niger that identified supply-side constraints to the adoption of hermetically sealed PICS bags, a proven technology that minimizes crop storage losses. This randomized evaluation will test whether the introduction of a stocking and buy-back guarantee for traders acting as suppliers in these contexts can ensure the steady availability of the technology, and whether providing information and subsidizing takeup of the technology can induce sustained adoption. Beyond input and output market facilitation, an important dimension of agricultural production is the functioning of rural labor markets. 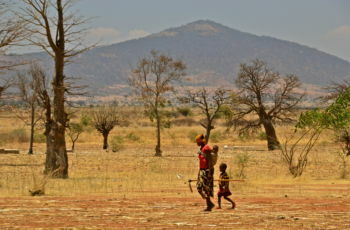 A new pilot study funded by ATAI “Facilitating Agricultural Labor Markets in Tanzania” will experimentally test the sources of inefficiency in agricultural labor markets. Jon Robinson (UC Santa Cruz, ATAI) and Dahyeon Jeong (UC Santa Cruz) will test the effectiveness of introducing either casual job information shared via text messages, hiring loans, or a combination to measure their impacts on labor market participation, farm labor inputs, agricultural outputs, and welfare measures in rural Tanzania.